UNI-Virtuosi Racing will replace the entry of Russian Time for the 2019 FIA Formula 2 Championship. Start line problems have blighted the 2018 FIA Formula 2 season, and officials have now decided to start the races in Austria and Great Britain behind the safety car while a fix is found. Twelve rounds form the schedule for the 2018 FIA Formula 2 Championship, with new races added at Paul Ricard and Sochi. The new F2 2018 has been unveiled at Monza, which will race in Formula 2 for at least the next three seasons. The boss of the FIA Formula 2 Championship has clarified what parts will be carried over from the old F2 car onto the new car, which is being introduced in 2018. Bruno Michel says the current ten teams in Formula 2 have expressed their interest in remaining in the category for 2018 and beyond. The 2017 GP2 Series season will not visit Malaysia but will have a round that does not support Formula 1 at the Circuito de Jerez in October. Jaime Alguersuari Sr has condemned supposed rumours stating that the 2017 season of World Series Formula V8 3.5 will not take place, threatening legal action to those who continue to spread those rumours. Bruno Michel believes Stoffel Vandoorne was ready for Formula 1 a year before he will make his full-time debut and did not learn much from his year in Japan. The GP3 Series will introduce DRS from 2017 in the hopes of improving the quality of racing and potentially attract drivers to the series. GP2 Series CEO Bruno Michel says that the new calendar is the “perfect balance” for the series’ teams and drivers. GP3 teams have been granted permission to field four cars from next season, meaning a grid of up to possibly 28 cars. The Carlin and Status Grand Prix teams will leave GP3 at the end of 2015 to be replaced by DAMS and Virtuosi UK. 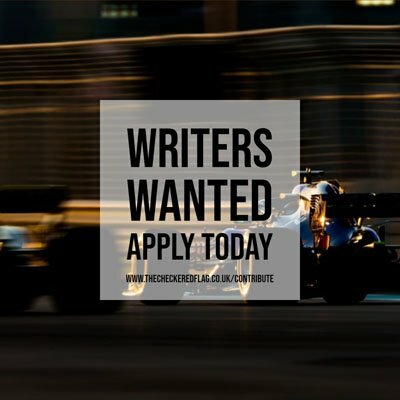 An additional round in Bahrain has been added to both the GP2 and GP3 Series championships this season, a week before the finale in Abu Dhabi.